hd01:10CIRCA 1940s - A psychiatrist speaks to sailors who are about to be discharged from a mental hospital. hd00:43CIRCA 1950s - A group of teenagers enter a car and show good manners when driving in the 1950s. 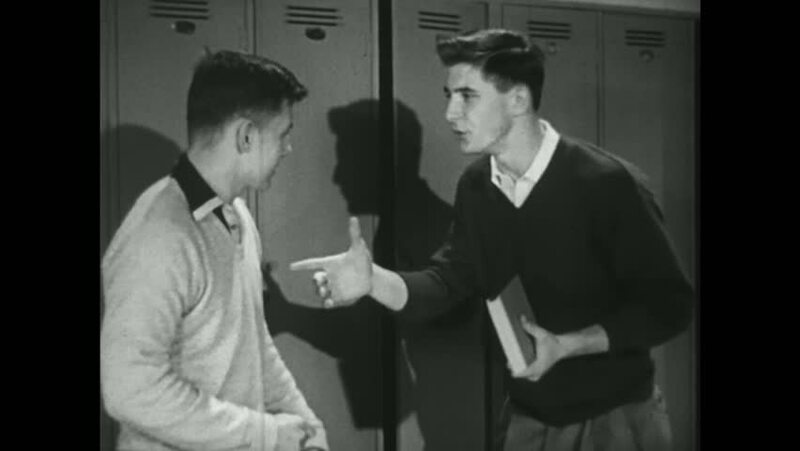 hd01:01CIRCA 1950s - An educational film which teaches teenagers about how to cope with and manage their emotions, in 1950.
hd00:44CIRCA 1940s - British navy is torpedoed and the soldiers on board get off the ship in the 1940s. hd01:541960s: Counterintelligence spies conduct a raid on suspected double agents in West Berlin during the Cold War in 1969.